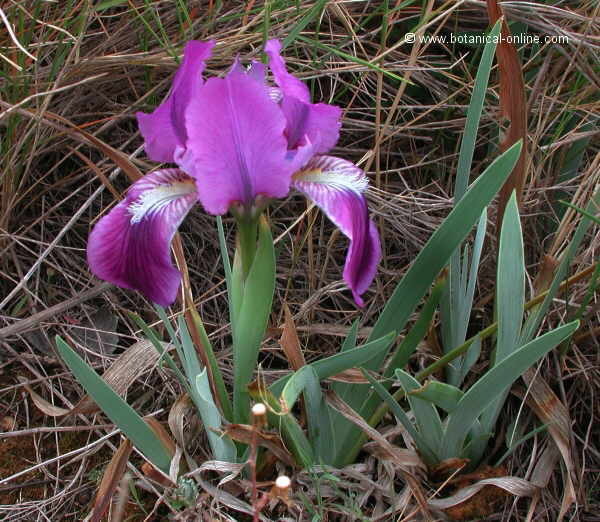 Photo of Iris lutescens Lam. Perennial plant of the Iris family -Iridaceae- till 40 cm. tall. Stems shorter than the leaves, sometimes inexistent. Very big flowers, violet or yellow, or bearing both colours at the same time. Tepals with a hairy ribbon inside. In dry rocky meadows.